If you are a ZP customer or client we will have reviewed your programme in our Monday morning meeting today. Every Monday we review all our programmes and ensure we are delivering. 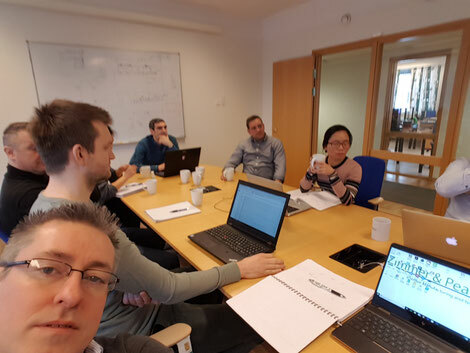 If you are looking for a contract developer or manufacturer of your medical diagnostic please please don't hesitate to contact ZP to discuss your programme. 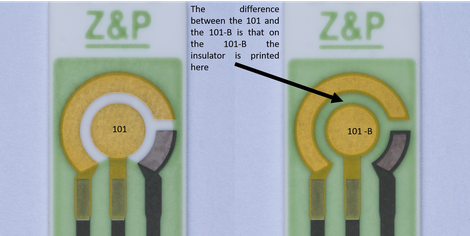 The difference between Zimmer and Peacock's 101 and the 101-B is that on the 101-B has the green dielectric printed over the white ceramic as show in the picture. If you have any questions regarding ZP's screen-printed electrodes please don't hesitate to contact us.